A huge thank you to the fabulous people of Chavrie and Alouette for sending me this amazing package of cheeses and spreads to sample! In the coming weeks I will be posting lots of cheesy reviews and recipes. So stay tuned! 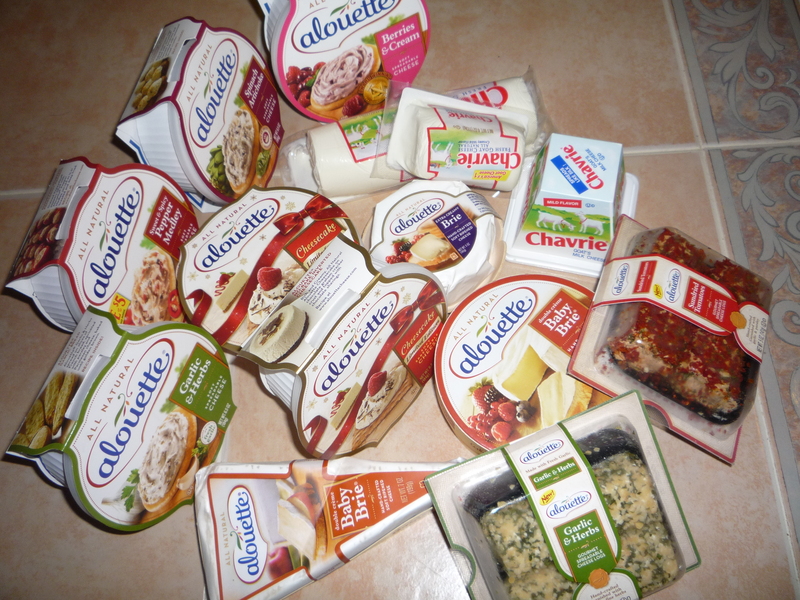 This entry was posted in Reviews and tagged alouette, chavrie, cheese, cheese spread, goat cheese, recipes by reneeh. Bookmark the permalink. I eat the Sundried Tomato Dip with the Wheat Thin Sundried Tomato chips and a slice of chedder or colby cheese…I could eat it all day….LOVE that stuff! You are very welcome, Renee! I hope you enjoy the cheese! Pingback: Garlic, garlic and more garlic! Recipes NOT for Dracula… « Eat.Live.Blog.